Halloween is a frighteningly fun time of year where children and adults alike can dress up as their favourite super heroes or a scary spook! It’s a fun night with lots of events or parties leading up to it and to make the most out of the freaky fun be sure to stay safety conscious. On the lead up to Halloween we have been posting numerous safety tips on our Facebook and Twitter pages but here you can view the culmination of everything. 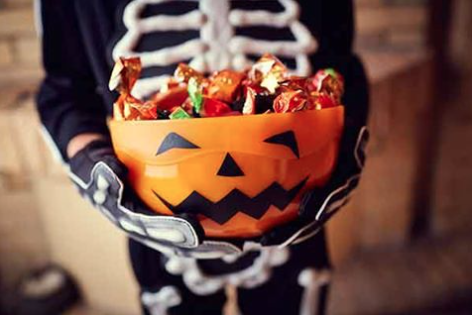 There are a lot of things to think about when it comes to Halloween safety and along with the obvious safety tips such as not leaving young children unattended while trick or treating and sticking to well it homes in familiar neighbourhoods, you need to have costume safety and other things in mind. In 2014 Claudia Winkleman’s daughter set on fire in seconds while wearing a supermarket bought Halloween costume. Unfortunately not all supermarkets dress-up clothing have to adhere to the same safety standards as other clothing. Since the incident Claudia Winkleman has campaigned for better standards which appear to be improving but in her own words “I would like parents – just on Halloween – to think about what they’re going to put their kids in because I didn’t, and it cost us.” Always check the labels! To view the video and find out more about this incident click here. 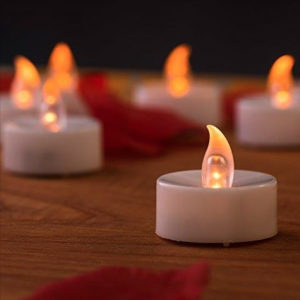 At halloween many of us will light candles and place them in pumpkins or around the home. Candles can be dangerous at any time of the year but with long flowing costumes on and accessories dangling outfits can catch on fire, or candles knocked over easily. Consider replacing real candles with battery operated ones. They give the same effect but with less risk! If your going to be driving around on halloween reduce your speed to slower than normal. If a child runs out without looking you have a better chance of stopping! When you and your family are gorging on your halloween haul be careful that pets aren’t getting their fill too! Sweets can cause incredible harm to animals and chocolate particularly is poisonous to dogs. If you want to treat your pets be sure to buy pet safe confectionary from a pet store! When trick or treating avoid walking in the middle of the road, always stick to the path and travel in numbers! Also please respect the eldrely and others who may not want trick or treaters coming to their door. Halloween can be frightening for some so look out for signs or dark houses that are clearly not inviting. Don’t accept any strange candy. If it isn’t commercially wrapped you aren’t sure what it is!